General Motors Co., China's largest overseas automaker, introduced its first sedan under a new China-only brand to cater to entry-level buyers in the world's largest auto market. The four-door 1.5-liter Baojun 630 sedan will go on sale Tuesday, with prices from 62,800 yuan ($9,750) to 73,800 yuan, according to the company. The car will be available in three variants and sold to 120 dealers in eight cities, including Zhengzhou, Nanning, Changsha and Harbin. GM joins Honda Motor Co. in creating cheaper China-only brands to boost sales among first-time buyers as overall vehicle deliveries slow this year after the government phased out incentives and imposed ownership restrictions to curb traffic congestion. The Baojun brand is targeted at "young professionals and young families" with the focus in so-called second- and third-tier cities, Matthew Tsien, the executive vice president of the automaker's China unit, told reporters in Chengdu, southwest China Tuesday. The nation overtook the U.S. as the world's largest car market in 2009. Sales increased by a record 32 percent last year, and grew 3.4 percent in the first six months, according to the China Association of Automobile Manufacturers. GM aims to sell 20,000 Baojun sedans this year, Tsien said. The Chevrolet Spark car will be rebadged in China under the Baojun brand, which will focus on developing smaller vehicles, he said. Industry sales will likely grow about 10 percent in 2011 as deliveries of mini-commercial vehicles fall, Kevin Wale, president of GM's China business, said in an interview on July 8. This compares with his forecast last November for a gain of 10 percent to 15 percent. 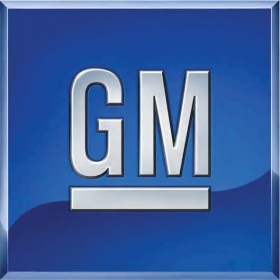 GM's China deliveries fell 1.8 percent to 173,398 vehicles in July, as deliveries of commercial vehicles declined. Sales by SAIC-GM-Wuling fell to 77,944 units from 90,658 a year earlier, according to the company on August 5. Honda will sell its Li Nian S1 compact sedan from 69,800 yuan in China, the company said in April. Based on the City platform, the S1 targets entry-level consumers with its 1.3-liter and 1.5-liter engines, the company said.